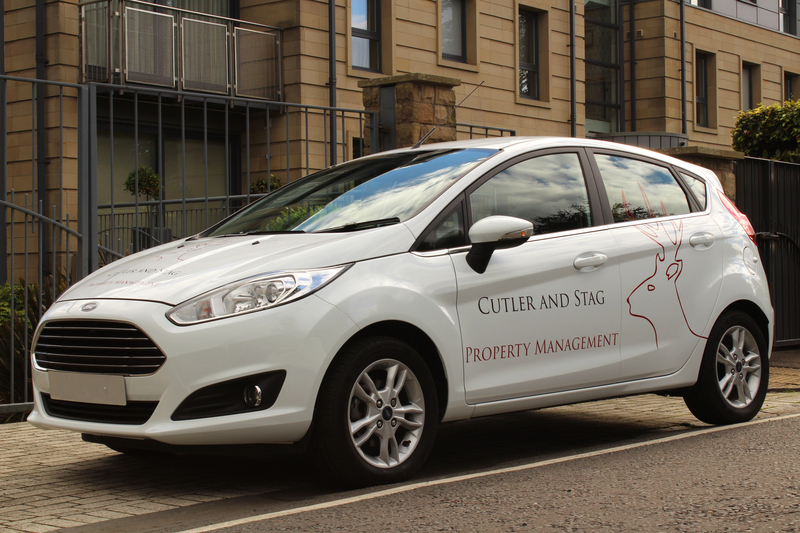 After graduating university in July 2016, my close friend David Harper and I created a letting agency called Cutler & Stag Property Management. Beginning with letting, servicing clients who were dissatisfied with their current agent; we saw a gap in the market to specialise in factoring World Heritage status buildings such as those in the New Town, Old Town and West End. It was clear to me as I finished my degree that I wanted to be my own boss and have my own company. I felt so strongly about it that I didn’t even look at graduate jobs! Starting the business with my friend has been a fantastic experience. I love that we have ownership and responsibility in terms of decision making, along with the fact that our ideas and input guide the company’s direction. That’s not to say it’s easy; as the Edinburgh property market is extremely competitive. Having an excellent set of selling points to offer clients ensures you get off to a strong start, enabling us to compete with some big players in the local industry and to recruit customers. Together, David and I are committed to becoming the best property management company in Edinburgh. During my third year at university I undertook a placement at an Edinburgh based investment company and I found this experience to be invaluable, especially as at the time I was fairly sure I wanted a career in the financial sector. Having completed the 48 week placement it was apparent that the financial sector was not suited to my skill set and that I wanted to be my own boss. However, what I did learn was valuable in terms of working to strict timescales, adaptability and how to deal with a broad range of people in a professional capacity. Reflecting on my time at university I found the various methods of analysis and frameworks covered in the entrepreneurship modules useful when it comes to outlining strategies and plans in relation to my own business. The academic staff were also helpful in talking through ideas and instilling the mind-set of critical thinking. To me, one of the most important things I learned was to look beyond my own perspective, to see things from another point of view (usually that of the target market) and then ensuring that the right message is communicated effectively. If I were to give advice to anyone starting their own business, I would say to spend time researching the market, see what competitors do well and what they do poorly. From there you can develop a competitive advantage in terms of your service offering. Listening to customer feedback is another important input into the constant evolution of a business. I would also say that identifying the accessible resources around you is crucial: family, friends, acquaintances, connections etc., to find the people who are potentially in a position to help and encourage them to pitch in. Finally, I would say being proactive and not letting obstacles or small defeats discourage you from carrying on is key. It’s inevitable that you will have ‘bad days’ in business, but use that to strengthen your resolve to succeed and never lose faith in yourself, your business partner (if you have one) and your business. BA Business Studies with Entrepreneurship. 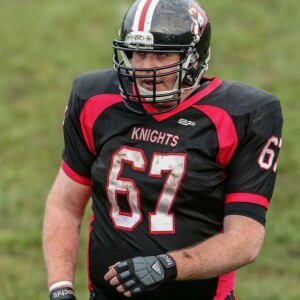 As we welcome thousands of both new and familiar faces back to study at Edinburgh Napier for another year, here are some wise words from a few members of the Napier Knights American Football team who graduated in July this year. If you’re still thinking about joining a sports society this semester, these players will convince you that the Napier Knights is more than just a sports team. By playing for the Knights, I have enjoyed some of the best times of my life and have met a great bunch of guys who will be friends and teammates for many years to come. Three years ago when I started the sport, I learnt a whole new sport which I have come to love and embrace, and have a passionate following for. For that, I have not only Pete Laird, but the entirety of the Knights coaching staff and players for teaching me and allowing me to take part in this fantastic sport. Winning Varsity the last two years have been among the highlights of my University time, along with actually completing my course and getting my degree classification! It has had a big impact on the social aspect of my time spent at university. I have met a lot of great people through the sport, as well as been presented with lot of opportunities. One of them was playing a game in front of a sizeable crowd at the Varsity game against Edinburgh University Predators. It’s an unforgettable experience when two thousand people are watching, yet everything is silent but the breath of the man you are marking. I have chosen to study abroad in America in my second year, and playing the sport had a big influence on making that decision. 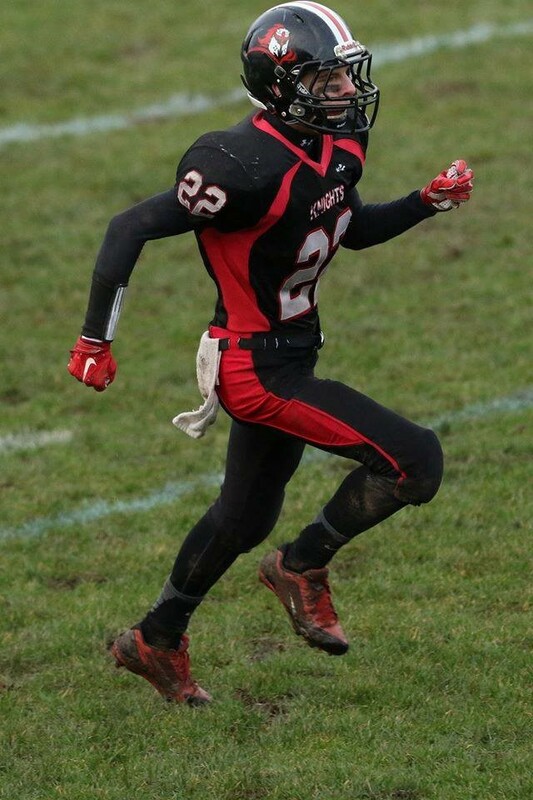 Playing football motivated me to improve my fitness, which is a vital aspect of playing on the field as much as it is great for confidence and self-esteem off the field. Team work is also the essential part of playing and winning the games in American football, and adaptation to working as a whole unit is a skill that will benefit for life. Edinburgh Napier graduate Steffanie Stewart recently contacted us to let us know about an amazing charity hike that her brother (and fellow Edinburgh Napier graduate!) Donald Stewart is doing in honour of his friend, Ellie MacDonald who lost her battle with cancer in 2014. Steffanie shared with us some of the trials and tribulations that Donald has faced so far, as well as the inspiration behind the hike. The Mohave Desert in July, earthquakes, altitude sickness, rattlesnakes (actually standing on one and living to tell the tale), scorpions, sunstroke, bears, cliff faces, long stretches without reliable water supplies or mobile signal, hitch hiking to resupply points (some of which seem to have been in slightly dangerous gang land areas…) and very sore feet. 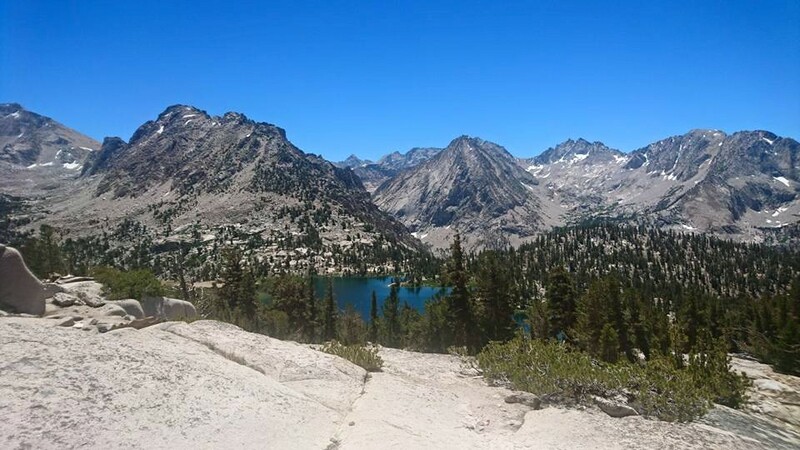 These are some of the obstacles faced by my brother Donald who set off on June 3rd to attempt an epic 878 mile trek along the Pacific Crest Trail, raising money for charity. His charity of choice? One Million Miles for Ellie. Eleanor was Donald’s friend, who he met during a summer placement while studying at Edinburgh Napier. 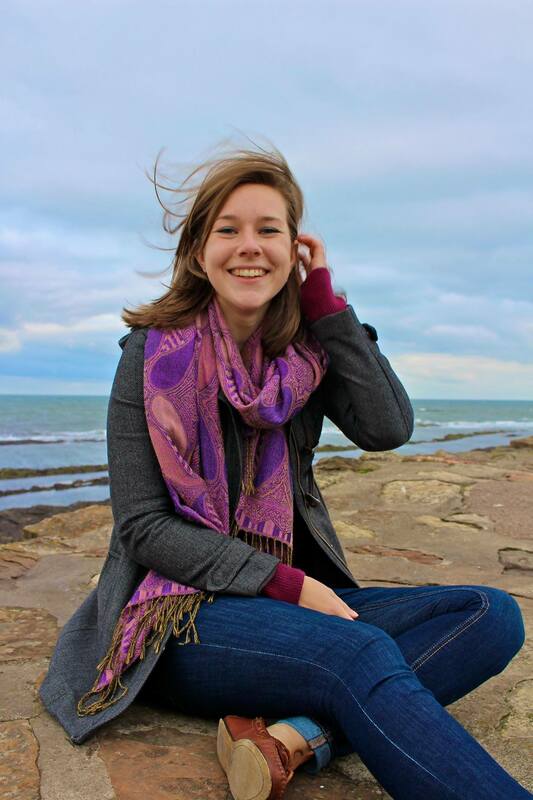 Sadly she passed away from cancer and her mum set up the One Million Miles for Ellie campaign; a campaign encouraging people to contribute towards a one million mile target, while raising money to support Cancer Research UK, Maggie’s Centres and MacMillan Cancer Support. Ellie (being an outgoing, outdoor enthusiast too) and this inspiring campaign influenced Donald’s decision to step way out of his comfort zone. He wanted to trek such a huge distance in the hope that he could raise some money, or at least awareness for this great cause and help Ellie tick the number one wish off her bucket list – to destroy cancer. Edinburgh Napier is grateful to all of its supporters and the continued work that goes into enhancing the student experience through scholarships and internships. Murray & Currie has kindly provided five student placements since 2010, ensuring that the next generation of graduates get the opportunity to gain industry knowledge through hands on work experience. Company director Steven Currie, and Edinburgh Napier graduate Sara Peshrowian share their experience of the relationship between the University and Murray & Currie. Back in 2010 we decided we wanted to get closer to the institutions and cornerstones that have shaped our City. It was natural that we would want to engage with Edinburgh Napier University and pull on their resources, international and domestic reach and strong profile. In return we would offer placements for business students looking to gain some hands on real time working experience and the opportunity the absorb and digest the buzz of a fast paced developing and successful business in a sector that the UK is obsessed with – residential property. We didn’t think for a second just how successful this initiative would be. Sitting in our flagship head office that is 60 Queen Street, we have seen 5 students come through our doors and had nothing but positive and remarkably complimentary feedback. More satisfyingly these 5 individuals have stayed part of the Murray & Currie journey via regular updates on their career and development. 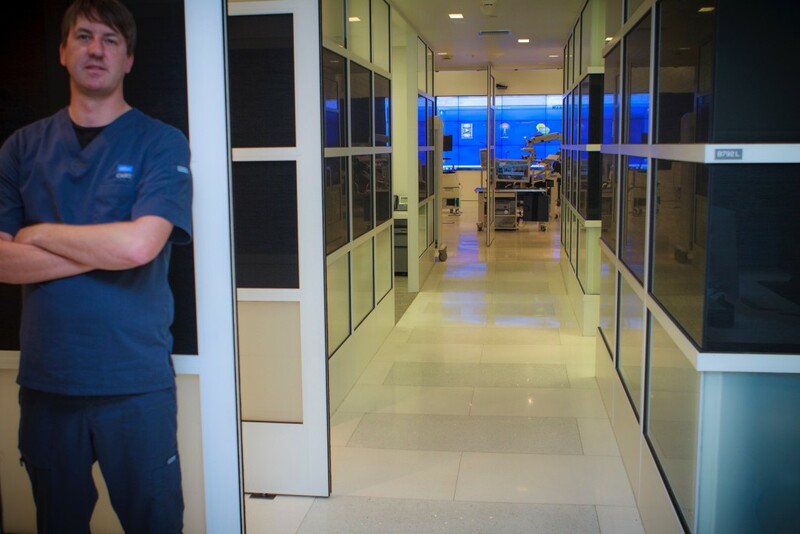 With a qualification in Engineering, Edinburgh Napier graduate Alan Edwards moved across the world to work with the Center for Advanced Surgical and Interventional Technology (CASIT), a state of the art facility designed to improve care for patients and their families. Alan describes the research he is involved in at CASIT and how his time at Edinburgh Napier helped to shape the focus of his career. 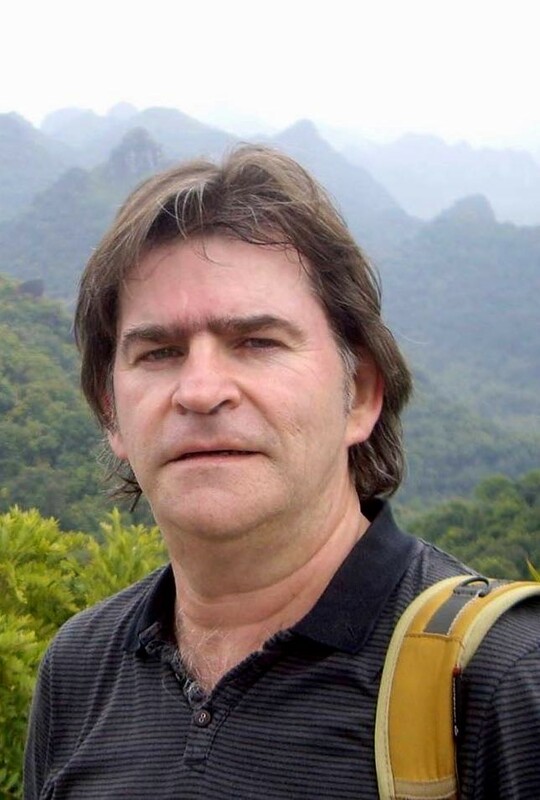 Hello, my name is Alan Edwards I studied Engineering at Edinburgh Napier University, graduating in 1992. I moved to California in 2000. I have been at UCLA in Los Angeles for almost 10 years and I am thrilled to share with you the cutting edge relationship of research, Technology, Engineering, audio/visual integration as it relates to the field of Medicine, and my full-time role here at CASIT. Our work has a direct impact on patients and their families. I truly believe that we are making a vital difference here and worldwide. According to the annual US News Best Hospital Rankings, now in its 26th year, UCLA is the number one Medical Center on the West Coast and number three in the nation here in the US. So what is CASIT, why was it founded, and what are our goals for now and the future. Dr. Carmack Holmes the founding “father” of CASIT can briefly describe this for you. UCLA’s Dr. E. Carmack Holmes is a world renowned leader in surgical oncology. He is an Honorary Member of the Royal College of Physicians and Surgeons of Glasgow. He was recognized for his contributions to his profession as well as his strong links with Scotland, where he has lectured on several occasions. 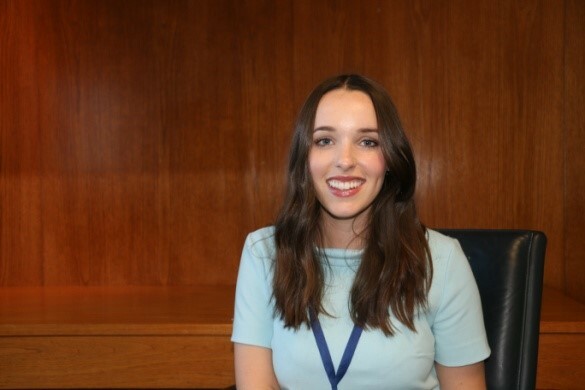 Last year, Catherine Fennessy landed her dream graduate job with The Co-operative Bank as a Digital Leadership Graduate. 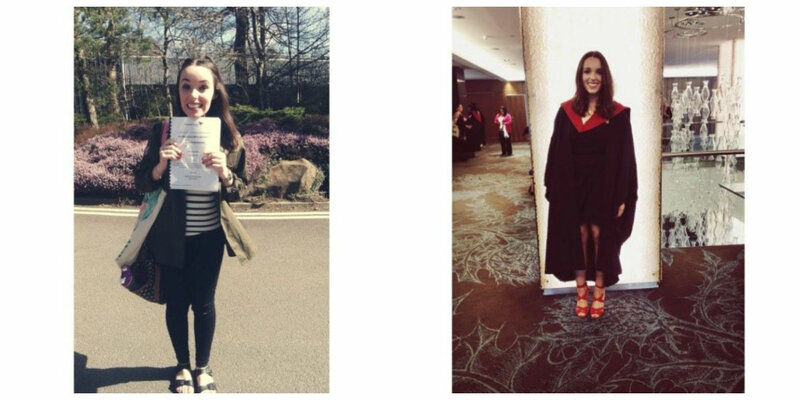 Almost one year later, Catherine shares her experience of applying for graduate jobs during her final year at University and what it has taught her. 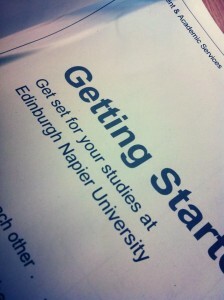 I spent my final two years of higher education at Edinburgh Napier University, and while I wouldn’t say they were the easiest two years, they were very rewarding. I’ve now moved my entire life down to Manchester; joining The Co-operative Bank as a Digital Graduate, and I thought I’d reflect on the past couple of years and give some advice to anyone applying for Graduate Programmes…. I jumped straight into third year at Edinburgh Napier studying Marketing, and was instantly overwhelmed by coursework, exams and deadlines. I had one particular module that was really challenging in that first semester, and I felt totally useless. It wasn’t until I achieved 67% on a piece of coursework that I knew I’d be alright. I met a couple of people on my third year induction that kept me motivated, and one of them is now one of my closest friends, despite living four and a half thousand miles away! One piece of advice I would always give to undergraduate students who find themselves in a similar situation – find the people that motivate you and lift you up – and hold on to those people, they make university life enjoyable. I also have to mention Liz Logie-MacIver – an excellent lecturer/tutor/supervisor and all round lovely person – she definitely made a career in Marketing seem exciting and really helped with my dissertation. Colin Campbell graduated from Edinburgh Napier University with a BSc (Hons) Science with Business Studies in 1987. He lived in Spain for 8 years running his own language school there before returning to Scotland to work in the Third Sector. In 2004, he set up Assist Social Capital CIC (ASC) as a bridge between academic evidence for the importance of social capital and its practical application. Initially set up as a Company Ltd by Guarantee with Charitable Status, in 2013 ASC became the first Scottish Charity to transfer to Community Interest Company (CIC) status. Research demonstrates that communities with high levels of social capital tend to benefit from lower crime figures, better health, higher educational achievement and better economic growth. Social capital can provide an underpinning framework to ensure replicability together with appropriate contextualization alongside the opportunity to gather evidence of outcomes and impact. ASC was set up to act as a bridge between the academic evidence of the benefits of social capital and its practical application. Our work focuses on evaluation, policy, programmes and activities that promote social capital such as social enterprise and public participation. We are involved in delivering on projects covering the environment, health and wellbeing and lifelong learning. We are one of 5 organisations being supported by the Scottish Government’s International Social Enterprise Programme and a co-founder of the Social Capital World Forum, which next takes place in Scotland in April 2016. ASC works with government agencies, research institutes and civil society organisations in Scotland the UK, Canada, Austria, Spain, Sweden and Asia. With his own successful business, Josh Quigley seemed well on his way to becoming an entrepreneurial success. Unbeknown to everyone though, Josh was struggling with his mental health. Read more his battle with depression and his journey as the Tartan Explorer. In 2010, Josh Quigley started at Edinburgh Napier University as a Business student, with dreams of becoming an entrepreneurial success. 6 years later, his dream has come true. However, Josh’s journey to success has been far from easy behind the scenes. 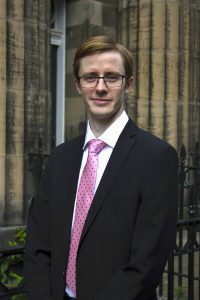 Josh left university after his first year to work full-time and gain some experience before continuing his studies in business at Stevenson College. This led Josh back to Edinburgh Napier in 2013 when he joined as a bright and confident, 3rd year Marketing & Management student. 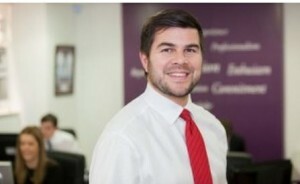 Josh has always had an entrepreneurial spark from a young age, he was fascinated with how businesses worked. This passion inspired him to set up his own incredibly successful digital marketing business during his 3rd year, Sharkdog, which won Josh the ‘Young Entrepreneur of the Year 2015” at the Forth Valley Chamber of Commerce Awards. However, the success of the business combined with everyday stresses of life began to take their toll on Josh’s mental health. Feelings of loneliness, and isolation became overwhelming and Josh lost his sense of who he was. The enthusiastic, intelligent young man who once had a true lust for life, could only see one way out. 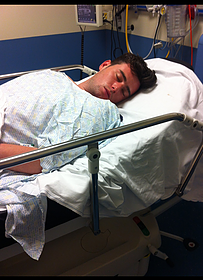 On 26th May 2015, Josh decided to end his life. At 80 mph, Josh intentionally crashed his car into a concrete barrier at the westbound junction of the M8 near Livingston. Miraculously however, he walked away from the crash with no physical injuries. 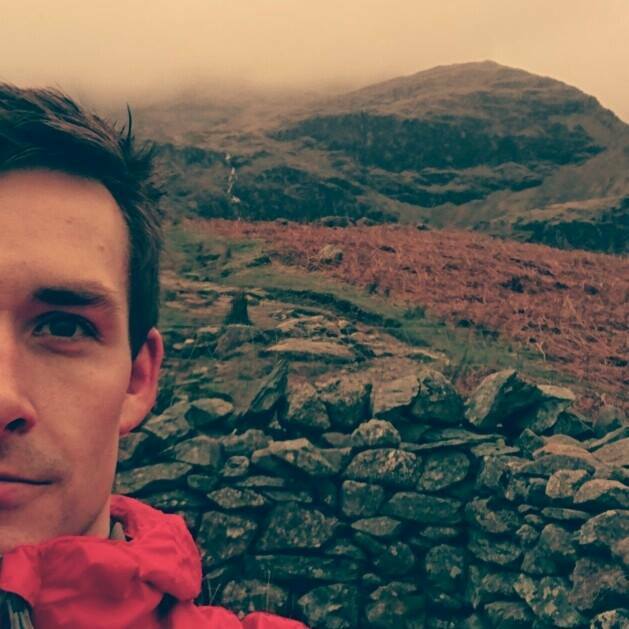 Psychology graduate Andrew Graham, decided to travel across China for 10 months after finishing university in 2013. Nearly three years later, the 27 year old is now Director of his own company, The China Teaching Experience. Read about his experience below and how living abroad changed his life! Upon graduating from Edinburgh Napier University, I decided to set off for China to experience something different. I enjoyed a fascinating 10 months, which ended up changing my life considerably! Throughout the year, I travelled the length and breadth of the country, met some extremely interesting people, and found myself in some even more interesting, and indeed bizarre situations! I also saw a market for a little start-up company – recruiting others to come out to China and teach English. So over a number of months, I built up a network of contacts, composed somewhat of a business plan, and put together a website. I came back to England, registered a Limited company, opened a bank account, and began contacting universities throughout the UK about y opportunities. Before long, I was receiving applications from all over the country. Through a carefully put-together system of co-operation with the China Education Association for International Exchange (Chinese Ministry of Education affiliated & Beijing-based), I began placing these applicants at various schools and universities across China. 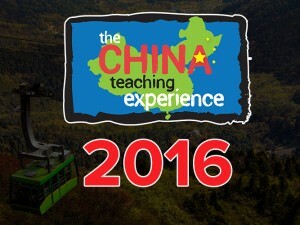 And so, The China Teaching Experience was born! The company has since gone from strength to strength, and we are currently marketing for our third year of opportunities. I have always had quite an interest in business. From as far back as I can remember, I was buying and selling all kinds of everything. I had always hoped to one day start something bigger, but was a little unsure what exactly it was going to be. Such seeds of entrepreneurship flourished while at Edinburgh Napier University. It might sound funny, but Napier’s co-curricular module ‘Starting a New Business’ is probably what gave me the confidence to start the company. I took the module in my second year of a Psychology degree, and remember feeling encouraged at how easy it seemed to start a business. 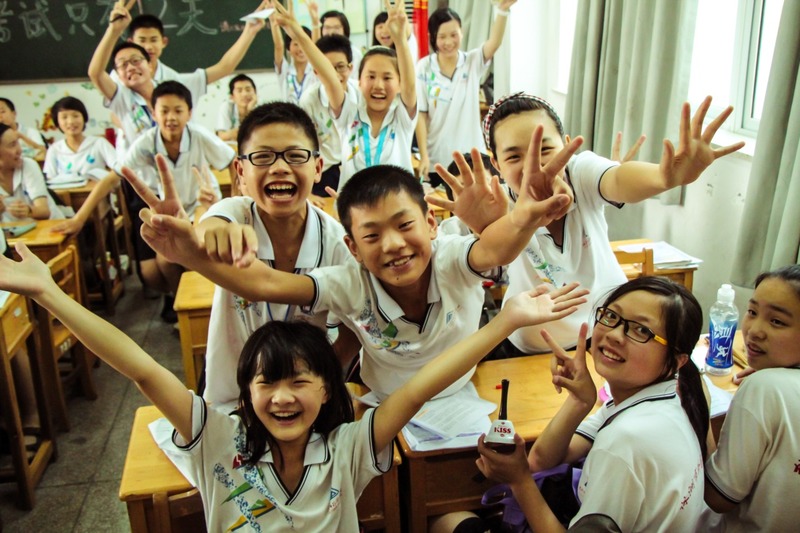 Had I never taken that module, The China Teaching Experience probably wouldn’t exist today. Going to China for 10 months was the single best thing I’ve done to date. It changed everything for me: I came back a different person, a better person, with a fresh outlook and perspective of the world. We only get one life. What a shame it would be to spend it all in just one place, or to experience just one culture. We are in an age of travel. Companies like ourselves have made it very easy for anybody to live on the far side of the planet for a year. I think one would have to be crazy not to take advantage of that. I am extremely passionate about the opportunities we provide, and welcome with open arms an application from anybody looking to change their life forever. 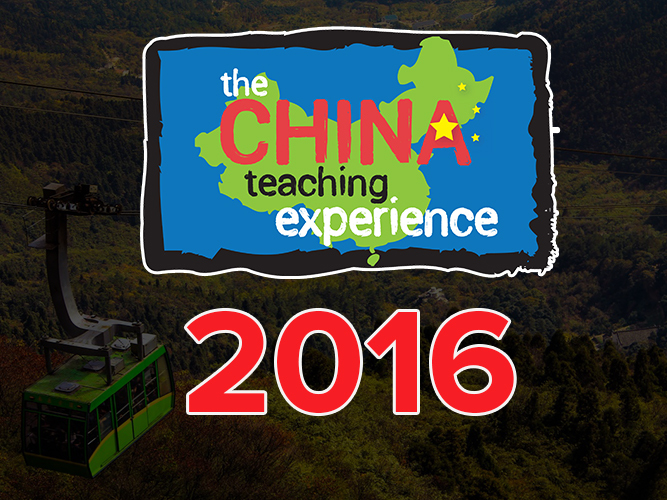 Are you interested in applying to The China Teaching Experience? You can apply for the August 2016 programme now!